There may be no more embarrassing situation than purchasing a plunger at 2 in the morning. Because there can only ever be one reason to buy a plunger at 2 in the morning: your toilet is overflowing, and it cannot wait. You can’t buy a plunger in privacy. You can’t just order one off Amazon and wait a couple of weeks (or even just a couple of days if you have Amazon Prime). 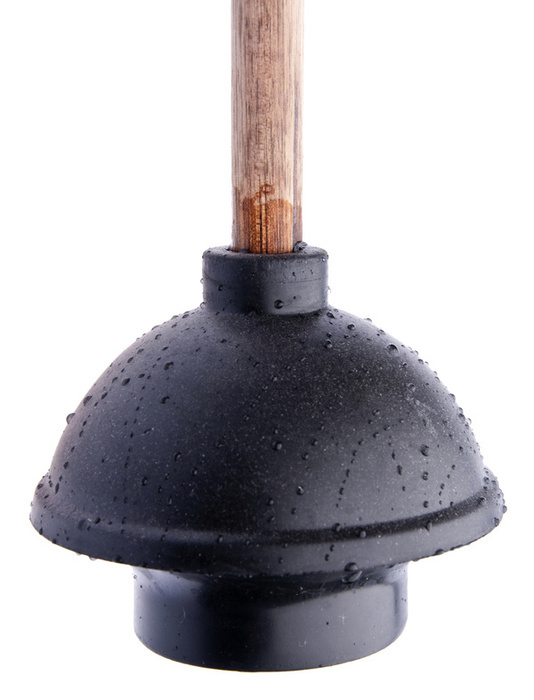 If your house isn’t prepared with a plunger already, you would only buy one when you really need it. I ran into a friend in Walmart the other night doing just this. We didn’t say anything about the plunger in his hand. We both knew. There’s no way to hide buying a plunger at 2 in the morning. And you shouldn’t have to. We’ve all been there. You shouldn’t have to hide any of the other crap you have backed up in your life either. We all have sins and secrets, the things we do at 2 in the morning we’re embarrassed and ashamed of. If we all have secrets, then whey do we try to so hard to hid them? And why do we ever try to hide them from God? It’s not like God doesn’t know what we’re struggling with. We act like we can keep it from him. You can’t. Your life is on record. You are on camera at all times. There is no moment in your life you can hide. So why are you trying to? Why are you trying to act perfect? Why are you holding on to your crap? You don’t have to. You don’t have to hide things from God, wondering what he would do if he ever found out. One time my best friend hid the fact that he was a Pokemon collector from me since he knew how lame I thought the whole trend was. He worried for years what would happen if I found out before the secret was finally exposed during a game night many years later. I thought it was hilarious. Of course I didn’t care. I love my friend. If he wants to collect Pikachus and Jigglypuffs, I’m cool with it. God already knows what is going on in your life. And He still loves you. He loved you before you could ever love Him back. You are not on trial for your criminal actions. In fact, you are the plaintiff, for Satan has stolen something away from you. Satan is a giant we cannot overcome. He is strong and powerful and real. If he wasn’t then you and I would not need God. If Satan was small God would not be impressive. In the court of life God is the judge who sends Satan packing on our behalf. He lets us off without a trace of our past upon us. He plunges our lives free of the sin overflowing. You should not leave your toilet overflowing. You should buy a plunger when you need it, no matter how embarrassing it might be. You should not hang on to your past either. You should let God plunge it.